At Cosmetic Surgery Partners’ London clinic, we see many patients in need of secondary, revision or corrective cosmetic surgery. This need can arise for a number of valid reasons such as breast implants that need exchanging as they have reached the end of their lifetime or face lift surgery that was successful several years ago but has aged over time. However, sadly we also see far too many cases that are due to poorly-planned and performed previous surgery or surgery with completely unrealistic objectives. It’s not surprising that we see more patients in this predicament at our London-based clinic. After all, increasing numbers of people are having cosmetic surgery and there has been a significant rise in bargain-basement surgery and high-street aesthetics such as dermal fillers and anti-wrinkle injections. 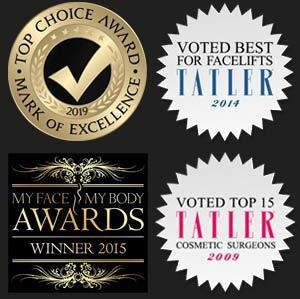 At Cosmetic Surgery Partners in London, our consultant cosmetic surgeons all hold recognised official accreditation with leading organisations committed to raising and upholding the very highest standards in cosmetic and plastic surgery including the British Association of Plastic Reconstructive and Aesthetic Surgeons (BAPRAS) and the Royal College of Surgeons (RCS). Unfortunately, not all clinics provide the same assurances. Perhaps one of the most high-profile indications of just how serious botched cosmetic surgery can be was the shocking PIP scandal. This involved 50,000 British woman alone being given implants made from unregulated silicone (usually used in mattress production) due to a distinct lack of regulation in Britain. The PIP implants are 2 to 6 times more likely to rupture than standard silicone implants* which could cause a whole host of unpleasant symptoms. There has also been a considerable rise in hospital tourism where patients in the UK go abroad for cheaper cosmetic surgery procedures. The most popular destinations include Eastern Europe and Asia and although expense may be reduced, there are considerable risks. These include a lack of information regarding the surgeon, a surgeon and support staff who speak little English and insufficient aftercare and follow-up appointments. At Cosmetic Surgery Partners’ London clinic, we have carried out corrective surgery on numerous patients who have returned from their trip with terrible results. From our London-based clinic, we have the expertise and experience to provide secondary and corrective procedures for botched surgery. Our team of leading consultant cosmetic surgeons apply the same essential principles to revision surgery as they do to first-time surgery. These include in-depth consultations and assessments, cooling-off periods, evidence-based procedures performed in a highly-skilled and specialist manner and comprehensive aftercare. As important as these principles are, our expertise is taken even further for revision surgery. Corrective procedures are more complex and often present additional challenges in the form of scar formation, surgically-changed anatomy and risk of complications. It’s a highly specialised area in which our consultant cosmetic surgeons have built a wealth of experience to help patients overcome a terrible experience and enjoy the best possible outcome. Breast implant exchange surgery to replace implants which are inferior or have created undesirable results. 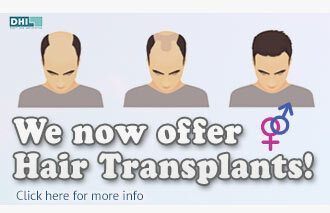 This surgery is also used to exchange implants that have come to the end of their lifetime. Face lift surgery to correct procedures that have left the skin looking stretched or caused scarring, hairline problems or ear deformities. Eyelid surgery (blepharoplasty) to address problems and unsatisfactory results in this highly complex area and restore correct eyelid position. Nose job (rhinoplasty) to create more natural-looking results and address asymmetry and irregularities. Our expert consultant cosmetic surgeon, Mr Nick Percival, has helped many patients regain their confidence after botched surgery at our London-based clinic. He appeared on Channel 5’s popular cosmetic surgery programme, Botched Up Bodies, to address breast augmentation surgery that went horribly wrong when a patient travelled to Prague for surgery as well as carrying out asymmetrical breast augmentation for a patient who was refused further NHS treatment due to funding cuts.